Do you fancy that you can write science fiction that would amaze the world and don’t want to worry about competing with Hollywood types? The try AfroSF: Science Fiction by African Writers. This was the first ever anthology of Science Fiction by African writers only that was open to submissions from across Africa and abroad. The anthology which was edited by Ivor W. Hartmann saw an e-book released 1/12/2012 then the paperback version on 19/03/2013. It had writers like Nnedi Okorafor and Sarah Lotz as its contributors. The people behind AfroSF were so pleased with their work that they decided to unveil AfroSF V2. This is the second anthology of Science Fiction and is open to submissions of novellas from all African writers (only) across the continent and abroad. It will again be edited by Ivor Hartmann and published by StoryTime in 2014. Deadline for submissions is March 14th 2014. 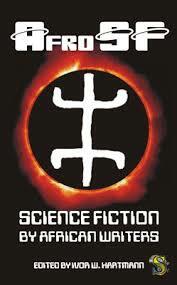 Works submitted may be: Science Fiction novellas only. 2) The submitted work must be an original work, nothing that infringes the copyright of, or is derived from, another author’s work of fiction, is overly lewd, hate speech, etc. 3) Must be unpublished (not previously published in print or online). 4) No simultaneous submissions (only submitted to AfroSF and no other publications). 5) No multiple submissions (submit only one work). 6) Single works with multiple authors will be considered as long as they all meet our African writer criteria. 7) Submission format: UK English, single line spaced, font Times New Roman 12pt. 8) Deadline for submissions is March 14th 2014. 9) Please note your story does not have to be set in Africa, it’s SF after all, so the only limits are your imagination (within plausible SF scenarios of course, so do your research well before submitting).